Why Should God Let Me Win the Lottery? You’ve heard it all over the news! The jackpot tonight for the Powerball Lottery will be over $500 million. That number is hard for us to conceive. Although the newscasters also warn us, that after taxes it’s more like $245 million. That will tone down our plans, won’t it (sarcasm intended). Do you ever dream of winning that kind of money? For most of us, the laundry list of wants can get quite long. In the shower this morning, I thought about it. First, things like a new car, remodeling the master bathroom start the dream list. Then, I think, “stuff like that won’t even scratch the surface.” “I better think bigger.” I think of college funds for kids and future grandkids; paying off the church mortgage; giving some scholarships to students preparing for missions or ministry. It wasn’t long and then I thought, I need to start a foundation! Who would be on the board? I know who could be my treasurer and my investment manager. What kinds of grants would I want funded? How could I make sure that my kids and grandkids don’t become lazy trust-fund brats? Wow! the dream was getting big… and this was a short shower! 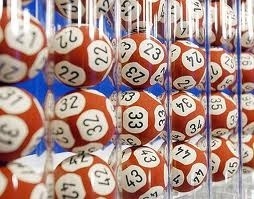 I don’t really believe in lottery tickets, but boy, what God could do! I think He should let me win! Don’t you? This might have all been a waste of time, except that now I sit and think. What did that exercise tell me about myself? First, it revealed some values. I want to be comfortable. And I want my family to be comfortable. And beyond that I want ministry to be accomplished and lives to be changed. Huh, maybe those should be flip-flopped (Matt. 6:33 “Seek first the Kingdom of God and His righteousness and all these things will be added to you. ).” I also saw that I think I would like to be in control. You see, at no time did I stop to think about what God might want to have happen. Now I know that it was only a blip of a dream, but if I had the power to do what I wanted, would I really need God to provide and direct? Now, I don’t think it’s wrong to dream. But as I dream, maybe I should dream about what God could do through me, rather than what I could do for Him if only I had the money. Or maybe I should dream about what comforts I could give up to do His will instead of what comforts I can hang onto and still do good things. What do your dreams reveal about your values? And why aren’t we satisfied with trusting God for what He wants to give us? And if our dreams are from Him, couldn’t He make them come about anyway? Why should God let me win the lottery? I guess I’m not really sure He should. ← What’s Missing from Christmas at the Temple? It would be nice to receive the cash. I would give to the poor and build a hotel for the poor who can not afford the payments. Anything that I can enjoy to give than hold the cash. I don’t want misfortune on me. Those are good desires Mark! Thanks for reading. Hi, I’ve found your stuff pretty helufpl but you can improve it by answering my question )) do you know of any books regarding lottery winners? I don\’t play the lottery and am not interested in books on how to win .I am just interested in lottery winners and how so many of them seem to die unhappy and penniless.